Emperor penguins have their work cut out for them from an early age. Back in December of 2013, scientists attached GPS trackers to 15 young penguins to determine how they fare in the icy waters on their own. The young penguins started traveling on their own while being only five months old. They traversed the icy waters of the Antarctic to reach warmer waters located to the north before returning a few months later. This information surprised many researchers as they believed that the young birds stay close to the Antarctic sea’s ice edge and only venture into the open sea as they mature. This is mainly due to the fact the little birds barely know how to swim, let alone dive or hunt at the time they embark on their treacherous journey. A new study from January 17 showed that young penguins can dive to depths of around 100 meters just five months after birth. This is around the time they shed their baby down, but well before they develop an insulating layer of fat around their bodies. The birds that were being tracked often swam more than 1,000 kilometers to the north to reach open waters that do not contain any ice. Some of them even came halfway between Antarctica and the Australian continent. The trackers also showed that the birds performed only shallow dives here, hunting fish and krill. The researchers still cannot determine why the young penguins decide to return to the icy waters. One theory is that they feed on the krill that is attached to the bottom of the ice formations. 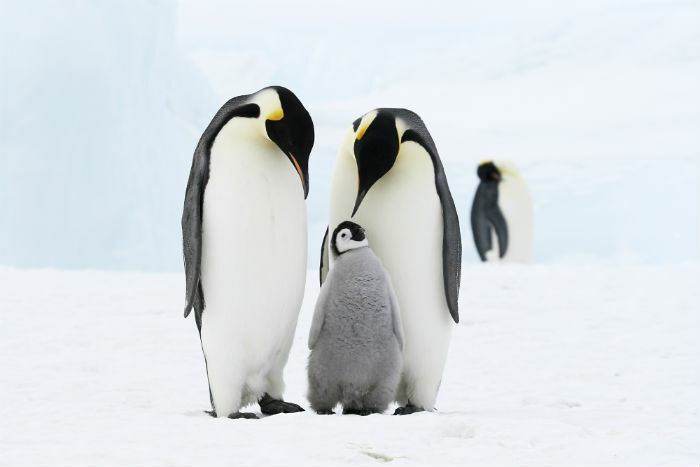 Further tracking of Emperor penguins might shed some light on how the loss of sea ice and other climate changes might affect animals of this region. This is something that is becoming more and more important as temperatures around us continue to rise.